Entry is free and the garden is very expansive, full of plantlife from all over the world. Being the end of October the leaves were just starting to turn, but Koyo wasn’t quite in full swing yet. We spent a good couple of hours here enjoying a relaxing stroll which felt like a million miles from the hustle and bustle of tokyo, but the pic i’ve chosen shows that couldn’t be further from the truth! 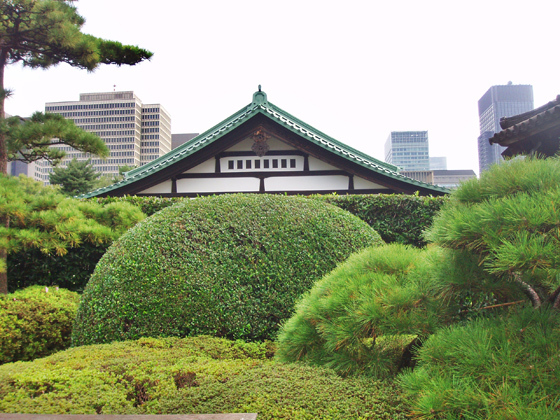 In the foreground we have a traditional guard house surrounded by some incredibly well kept bushes, and looming in the background are the towers of Tokyo’s financial district.